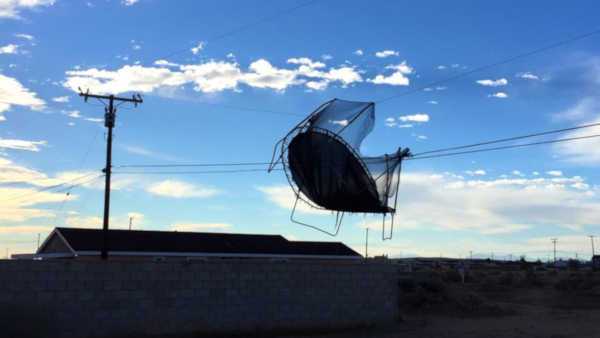 CALIFORNIA CITY, Calif. -- It was a frightening scene in California after powerful winds lifted a trampoline off the ground, and into a set of power lines. The incident happened Saturday morning in California City, about 100 miles north of Los Angeles. Fortunately there was no one on the trampoline at the time.